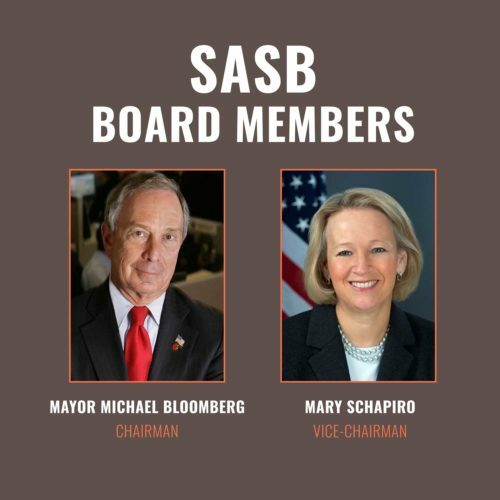 The Sustainability Accounting Standards Board (SASB) launched in 2011 with a mission to standardize sustainability reporting for publicly traded companies. A game-changer in the world of corporate reporting, SASB spearheaded efforts which included developing and disseminating sustainability accounting standards for 80 industries in 10 sectors and providing investors with easy access to benchmark data about corporations’ sustainability performance across a number of environmental, social and governance (ESG) factors. 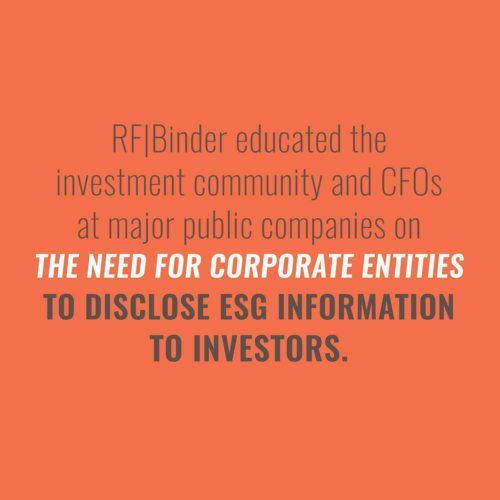 RF|Binder was tasked with 1) raising the profile of SASB and generating awareness for its mission and 2) educating C-suite executives, board members and the larger investor community about the new standards being set, the importance of adopting them, and why these sustainability standards will help increase transparency in the U.S. capital markets. 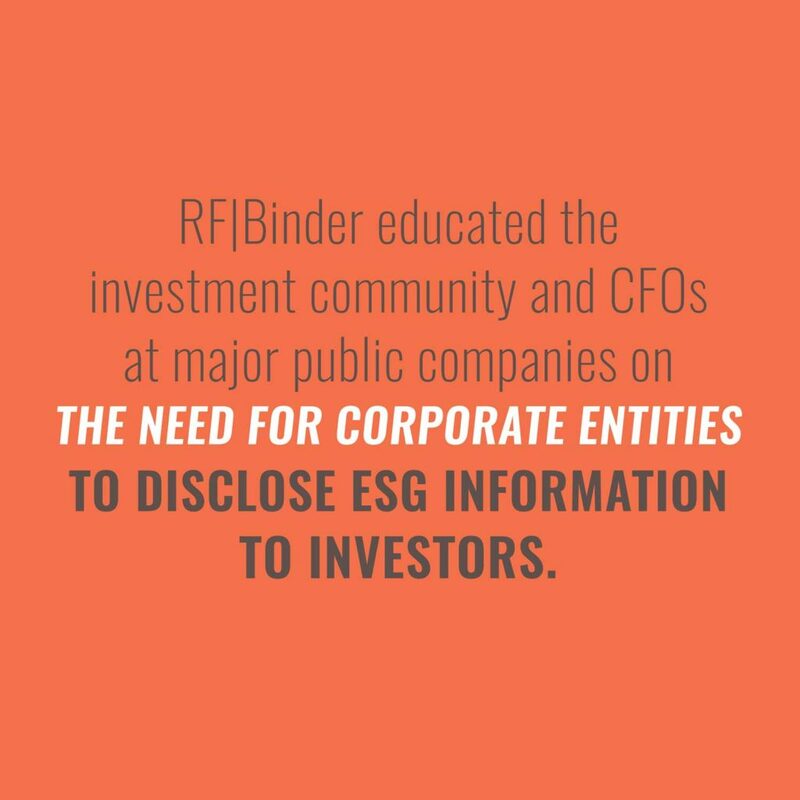 Knowing SASB had to be positioned as the premiere organization setting standards for sustainability in the U.S., RF|Binder set out to educate the investment community and CFOs at major public companies on the need for corporate entities to disclose ESG information to investors and why this type of disclosure is important. As SASB developed their standards, RF|Binder released ongoing information about them, to ensure timely awareness within the business community and relevant industries. 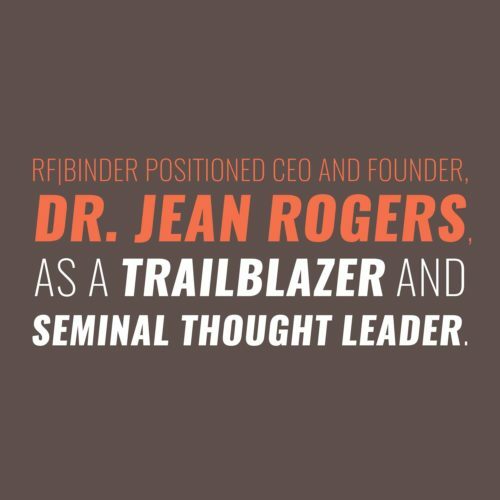 RF|Binder developed a program that focused on positioning CEO and founder, Dr. Jean Rogers, as a trailblazer and seminal thought leader, inviting companies and shareholders into the dialogue around corporate and non-financial reporting. In addition to generating visibility for Dr. Jean Rogers as an expert in this space, RF|Binder also tapped SASB’s board members, including the Chairman, Mayor Michael Bloomberg and former SEC Chairwoman Mary Schapiro, who was the Vice-Chairman to provide context and external credibility for SASB’s new standards. RF|Binder’s efforts resulted in coverage and placing byline pieces from top-tier business and trade media, including Barron’s, Harvard Business Review, The Economist, Compliance Week, Corporate Counsel, CFO Magazine, The Wall Street Journal, Agenda, Financial Times, Forbes, Bloomberg BNA, and The New York Times. 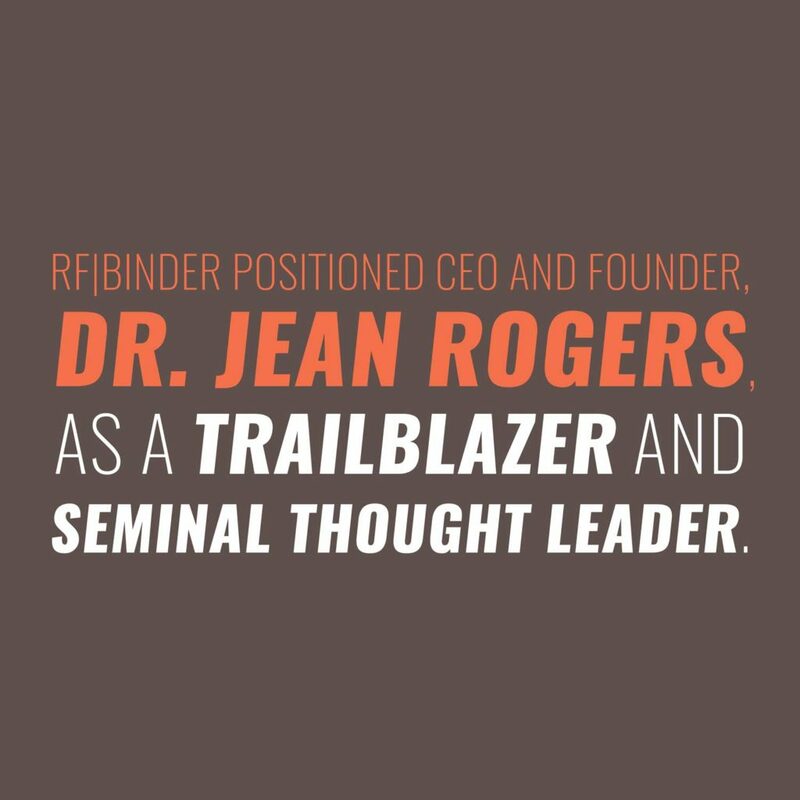 Additionally, Jean Rogers was included in Accounting Today’s 100 Most Influential People List, alongside prominent thought leaders from top companies and the government. The overarching program has resulted in a greater general awareness for SASB’s efforts and a groundswell of support for new standards in sustainability reporting and their importance in today’s capital markets.